During spring, Florida is the place to be. With pleasant temperatures and sunny weather, the Sunshine State is the perfect destination for a spring adventure for those looking to catch some rays and soak up the fresh spring air. From amusement parks to blissful beaches, Florida offers lots of opportunities for every type of trip. If spring just can't come soon enough and you're dreaming about escaping colder climates, here are the top 10 things to see and do during springtime in Florida. Whether you're planning a family or a romantic vacation, Florida has it all! 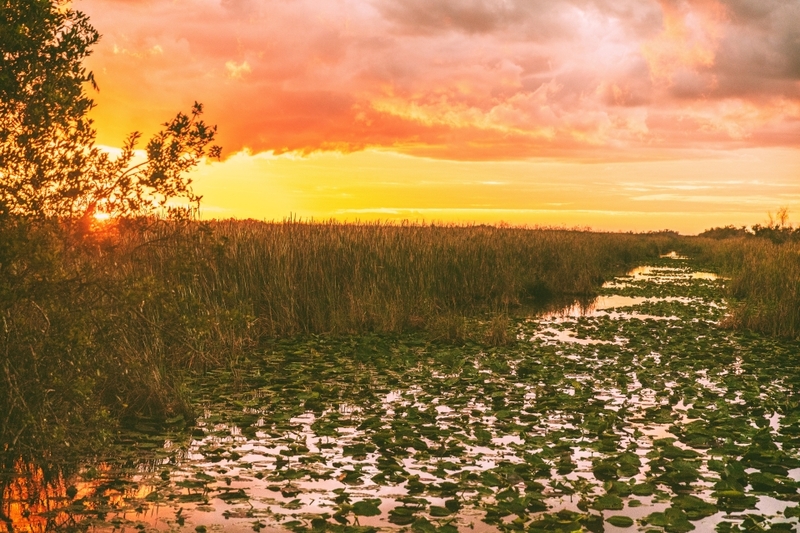 Visiting Florida isn't complete without paying a visit to Everglades National Park. Renowned for its exceptional landscapes and alligators, Everglades is considered as one of the largest wetlands in the world. Just an hour's drive away from vivid Miami, you can find this green oasis often nicknamed the "River of Grass". Even though it's most famous as the home of many alligators and crocodiles, the area also boasts many endangered species like the Florida panther and the West Indian manatee. Book a guided tour and explore the gator kingdom by boat, bicycle or on foot. One of the first things that crosses your mind when you hear Florida is amusement park, and with good reason! 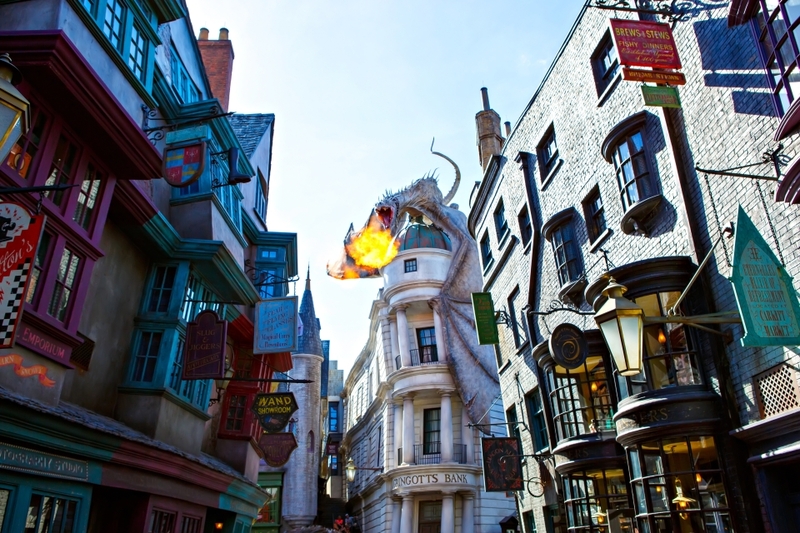 Universal Studios near Orlando is one of the most visited and best-known theme parks in the world. Here you can choose from three different parks: Universal Studios Florida, Universal's Islands of Adventure and Universal's Volcano Bay. With Hollywood-inspired rides and thrilling attractions, parks offer loads of fun for visitors of all ages. 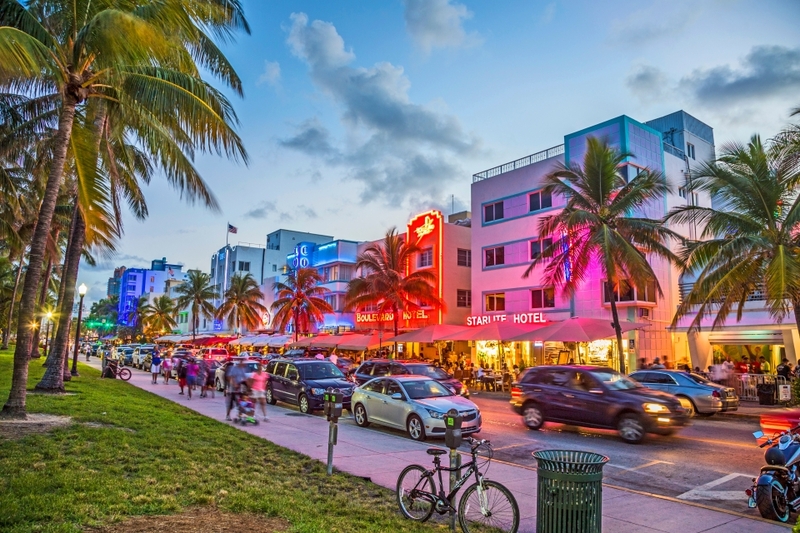 Miami's most iconic street is a must-see for all tourists coming to Florida. With its Art Deco buildings, vivid bars, towering palm trees and blissful beach views, Ocean Drive is a hub for entertainment, fashion and fame. The singular architecture of the colorful buildings and iconic views of the shore make this street one of the most beautiful places in the city. It's no surprise then that it's captured the popular imagination on the big and small screens, with starring roles in the show Miami Vice and the film Scarface. The oceanfront street is tailor-made for sipping margaritas or cocktails! Also, if you're a fashion lover, visit the Versace Mansion where the famous designer Gianni Versace used to live. The place today works as a hotel and upscale Italian restaurant. 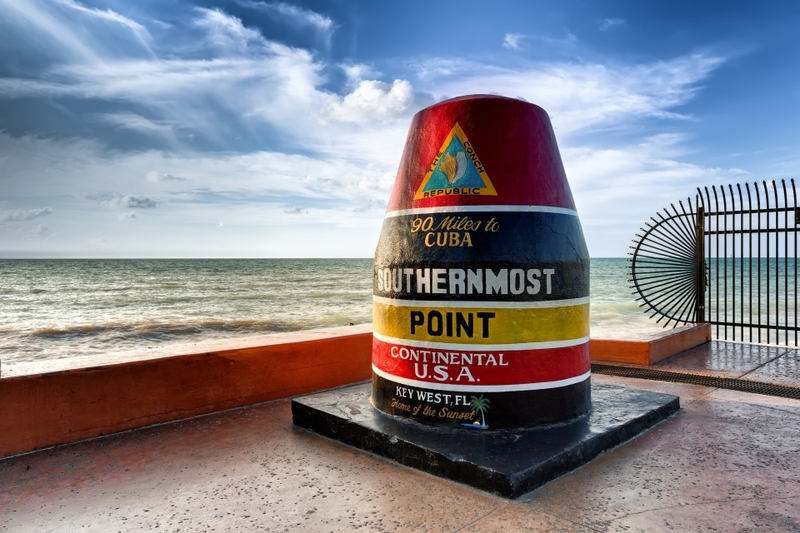 One of the main attractions in Key West is the large painted buoy marking the southernmost point of the continental US. The massive, vivdly colored buoy has been attracting tourists from all over the world since 1982. Don't forget to take a picture with the giant anchored gadget as it's one of the most photographed attractions in the country. 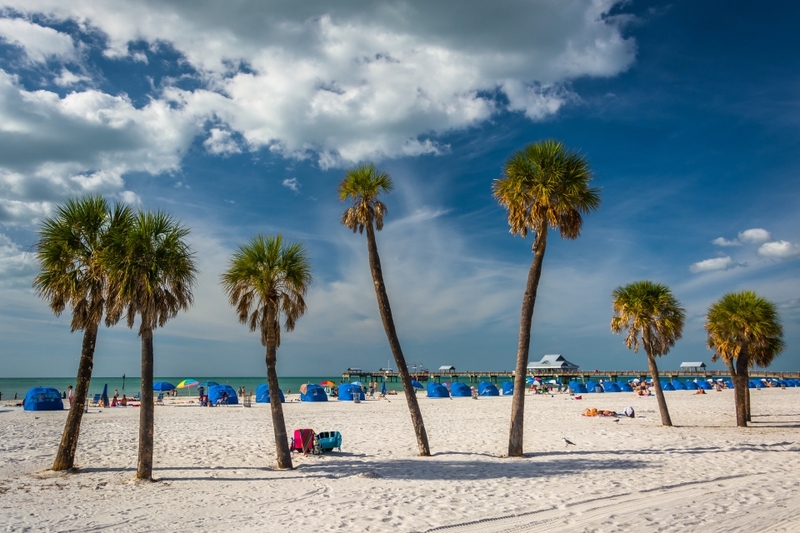 Ranked as the America's best beach by TripAdvisor in 2018, Clearwater Beach is the beach of your dreams, proving the title is well-deserved. It's famous for its white sand and translucent, shallow waters that attract thousands of visitors all year round. Take a stroll along the palm-lined seafront promenade or rent a beach chair with an umbrella and enjoy the laid-back atmosphere. The beach is fit for anyone, including kids playing in its shallow waters, young people playing volleyball, and couples cuddling in beach cabanas. Boasting the perfect combination of sun and sand, Florida is one of the most popular destinations for a spring vacation in the world. But even though spring is peak season, Florida is actually a year-round destination. With 365 days of pleasant weather, there are myriad possibilities for nature lovers, families with children, adrenaline junkies, history buffs and beach bums.